The US attorney general admits being surprised that people don't like his stance on marijuana, Vermont's legalization bill is on a death watch, Illinois legalizers gear up, and more. Jeff Sessions "Surprised" By Opposition to His Marijuana Stance . At a speech at Luke Air Force Base in Arizona Tuesday, Attorney General Jeff Sessions pronounced himself "surprised" that his position against marijuana was drawing criticism. 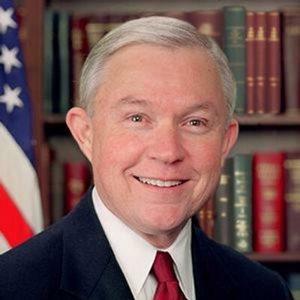 "When they nominated me for attorney general, who would have thought the biggest issue in America was when I said, 'I don't think America's going to be a better place if they sell marijuana at every corner grocery store?,'" Sessions asked. "They didn't like that; I'm surprised they didn't like that." Hawaii Bill Would Roll Back Nation's Toughest Drug Paraphernalia Laws . Under current Hawaii law, possession of a pipe or bong for marijuana is punishable by up to five years in prison and a $10,000 fine, but perhaps not for long. A measure that would decriminalize marijuana paraphernalia, House Bill 1501 , passed the Senate Tuesday. The bill has already been approved by the House, but differences in the amount of fines allowed will have to be ironed out in conference committee. Illinois Legalization Backers Unveil Statewide Coalition . State Sen. Heather Steans (D) and Rep. Kelly Cassidy (D), the legislators behind the marijuana legalization bill, House Bill 2353 , announced Tuesday that the bill would get a first hearing next week and that they had formed a statewide coalition, the Coalition for a Safer Illinois  to garner public and legislative support. Vermont Legalization Bill on Verge of Death . The prospects for the Green Mountain State legalizing marijuana this year grow exceedingly dim. Senate leaders said Tuesday their body is extremely unlikely to support a legalization measure, House Bill 170 , currently stuck in the House. Proponents in the House had hoped they could get it moving again, but Senate President Pro Tem Tim Ashe said even if it passed the House, it still faced "insurmountable obstacles" in the Senate. The House bill would only legalize possession and personal cultivation -- not commercial marijuana -- while the Senate wants a regulated market. New Hampshire Medical Marijuana Bills Get Hearing . Measures that would add new qualifying medical conditions and allow patients to grow their plants got a hearing in the Senate Tuesday. The bills have already passed the House. No votes were taken, though.